How to Keep Your Breath The Best! Failure to floss is maybe THE most common cause of breath odor. Always floss (and brush) before going to bed. Never fail to do this. Food particles lie dormant for 8 hours, providing odor- and acid-forming bacteria the perfect conditions to do their worst. This causes inflammation of the gum tissue, making it permeable to bacteria and their waste products. It is then hard to get those compounds and microorganisms out of the gum tissue, eliminate the inflammation and have it become an odor-free, odor barrier again. The Sonicare toothbrush is the best at stimulating blood flow in the surface capillaries, correcting all this. All electric toothbrushes do a better job than manual brushes. When someone has periodontal disease, their breath has a characteristic odor. Flossing prevents breath odor caused by the build-up of gum tissue-destroying bacteria. Massage your gum tissue with your toothbrush, to keep blood flow stimulated and vigorous. This helps the most to alleviate breath odor. 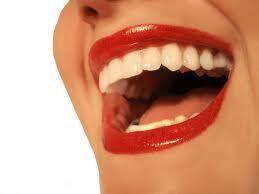 Doing that also removes plaque, preventing periodontal disease and cavities. The most common, it is temporary and easy to fix. Oral odor sources are from food particles which digest in the mouth to form VSC’s: volatile sulphur compounds. Other compounds also cause breath odor: spicy foods, onions, garlic, curry, etc. Avoid those well-known foods; frequent use of a masking agent (mouthwash or breath mints) helps. Some mouthwashes claim to neutralize VSC’s. Oxyfresh is one which contains chlorine dioxide, others contain zinc compounds. Their effectiveness is not universally accepted. Medications and mouth breathing cause dry mouth. Drink water to keep hydrated and improve breath fragrance. I frequently recommend Biotene moisturizing breath spray. It has a pleasant minty fragrance as well as moisturizing the mouth. It is sugar-free. ALWAYS use sugar-free mints or candies, NEVER anything with sugar because those will destroy teeth and feed bacteria in the mouth. I had a nice tasting moisturizing spray containing fluoride from Omnii, but that manufacturer stopped making it. I’m still looking for something with fluoride. That is especially good for people getting cavities. 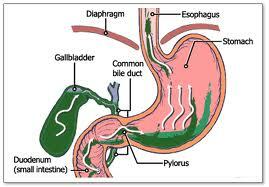 GERD (reflux), ulcers, digestive disruptions and medications definitely throw off normal healthy complete digestion. Specific systemic conditions can also cause breath odor. One has to take symptom-focused medications for systemic ailments. Decreasing symptoms improves breath freshness, but the side-effect of some medications is dry mouth. Drinking more water decreases symptoms from this. Regular exercise helps digestion. Exercise 30-45 minutes 5 times per week, minimum. 1. Post nasal drip, sinusitis, allergy, colds and flu. Things which decrease post nasal drip and other cold symptoms help improve breath quality. Avoiding allergic reactive conditions like dust or animal dander, as well as symptom-focused medications help a LOT. 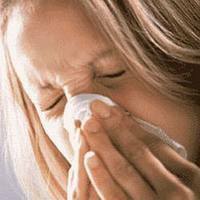 Milk and milk products form the base constituents of catarrh, mucous. I avoid dairy products, mostly. When I am good with that, I don’t have allergic symptoms or a runny nose. It just doesn’t happen. I’m sure I’m still exposed to the dust and pollen I am allergic to, but no symptoms occur. It might help you. It’s worth a test trial period to see if avoiding dairy products helps prevent nasal symptoms. Use these tips to get and keep a fresh, clean breath – they work! Make them work for you! 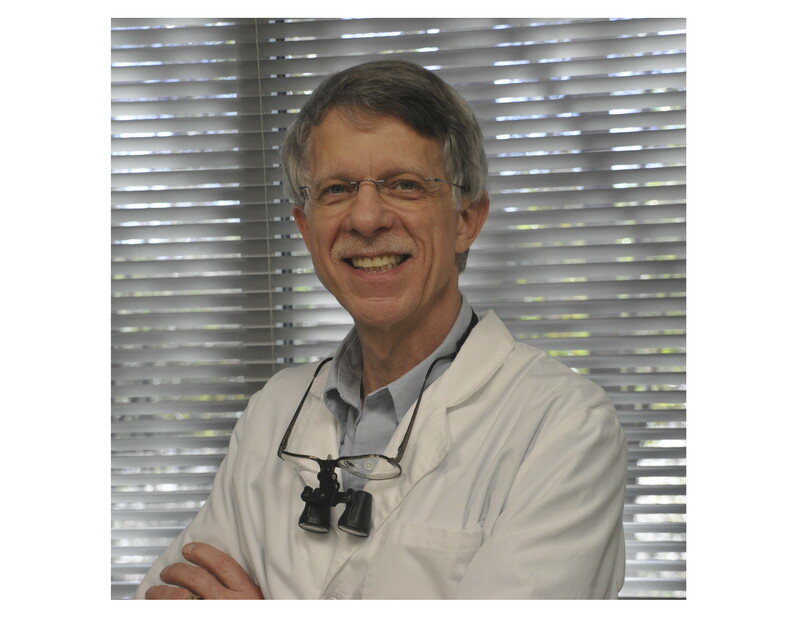 W Bryon Satterfield, DDS, MAGD General dentist in The Woodlands with excellent care, skill and judgment from decades of experience in precision practice and teaching. Things work! 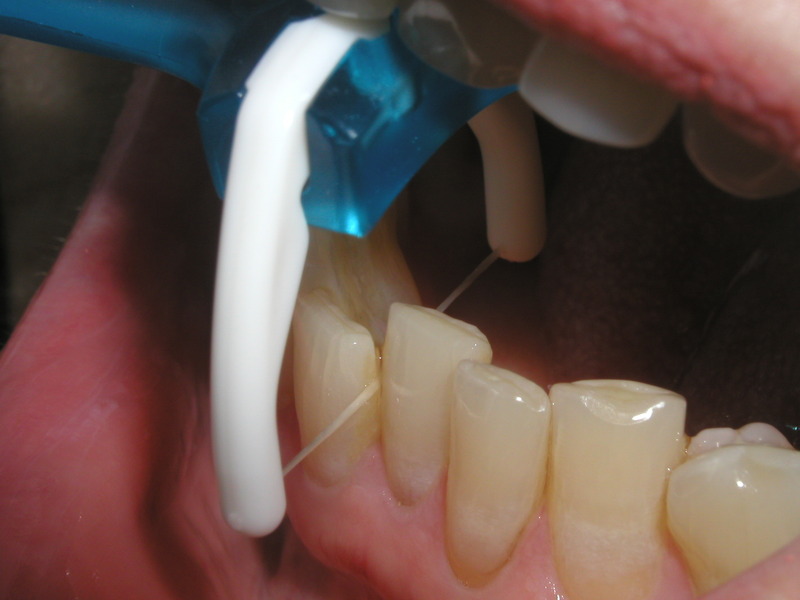 The breakthrough design of the REACH Flosser, used with the biting technique, has corrected these problems, making flossing as easy as brushing. The long handle and angled head are big improvements, but THIS IS THE KEY (REACH designers don’t know about this technique): BITE THE FLOSS INTO PLACE. This gives you enormous control to prevent your going too far and hurting your gum tissue- the main fear when flossing. We control our jaw movements way better than we control our hand, finger and arm movements. Hold the Flosser like your toothbrush; position the floss on the contact between any two teeth. Gently bite down on the top of the floss holder. The floss easily pops through the contact. To remove, keep the floss head in contact with the opposite teeth and open a short distance quickly. The floss pops back out. This works in every contact, on upper and lower teeth. Using this flosser is not nearly so easy without this biting technique. Practice in front of a mirror on front teeth first. You will get the feel of it quickly and won’t need the mirror. Once you are comfortable using the Flosser technique, gently push, and then pull the floss against each tooth while you are moving your jaw up and down, 3-4 times, flossing. Use the disposable floss head until the floss breaks. Rinse it off after each use. REACH said to use a new one every time, but it is good for several uses. I used my first floss head for twelve complete flossings. A few patients informed me that they had to use a new head every time because they had rough contacts that break the floss. That can be fixed. 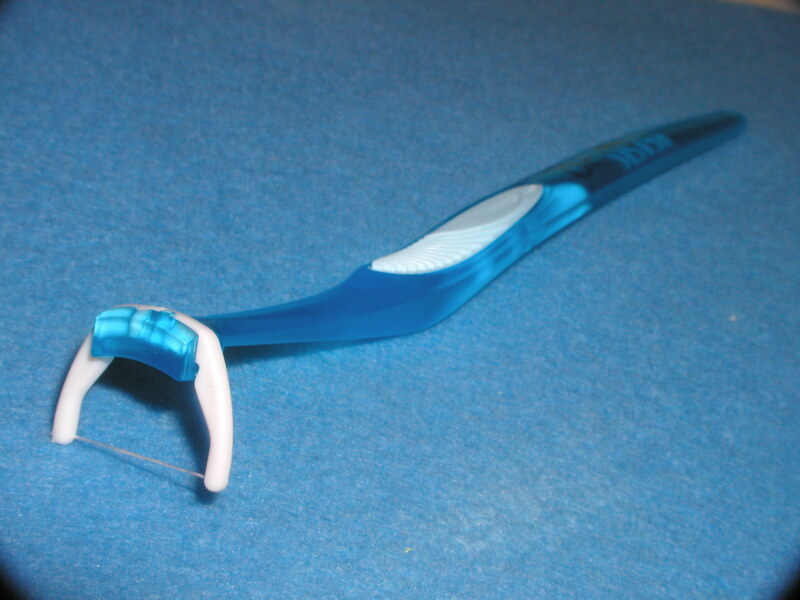 I can smooth your contacts easily with a Proflex Scaling Strip and no drilling or anesthetic. Ask at your next cleaning appointment. The Hygienist can do this, too. I will be glad to smooth your contacts for no charge. You ought to get more than one complete flossing from each head. The REACH Company did not consult me about their design and I have not contacted them about the biting technique or my review. I have absolutely no financial interest in their company. The REACH Flosser and biting technique makes flossing SUPER easy. Think about what this could do for you. Almost everyone I see tells me they want to floss daily. Try out this flosser and biting the floss into place. It will improve your oral health and quality of life! Bryon Satterfield, a dentist with decades of experience: things work! Taught part time at the UT Dental School for 16 years. Dentistry by appointment in The Woodlands, TX. Visit our website: docsatterfield.com, or call 281-363-1571.